Those who eat soy often point to its consumption in Asia. Although it is true that soy is part of the Asian diet, traditionally it was eaten in its fermented state, processed to remove the toxins, and eaten with meat. In Japan it is eaten with fish, and in China, with pork. It is not considered a replacement for animal foods and never constitutes more than 1 to 2% of total caloric intake. 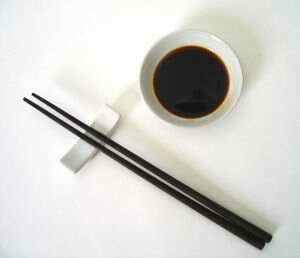 In Japan, the average consumption of soy is 10 grams—about two teaspoons—per day. The same is true of China. In short, although Asians include soy in their diet, they consider it a condiment and eat it in small amounts—never as a staple. Reports written by the soy industry in the 1970s on how they were trying to get phytic acid and also enzyme inhibitors out of the soy by processing and how difficult this was to do. The Rackis studies showing the damage to the pancreas of rats consuming processed soy protein in industry-sponsored studies. A quote on how they were going to market soy as a health product to the upscale market in order to have it accepted by the general public. Soy is a food of modern commerce. It tends to be highly processed and contains lots of phytoestrogens that have negative hormonal effects. People with thyroid problems need to avoid soy altogether. Soy may be a healthy small part of your diet but not a chief food source. Effective January 1, 2006, foods covered by the FDA labeling laws that contain soy must be labeled in plain English to declare that it “contains soy.” However, there are many foods and products that are not covered by FDA allergen labeling laws, so it is still important to know how to read a label for soy ingredients. The following is a list from Kids With Food Allergies to help you understand the hidden ingredient names for soy protein. 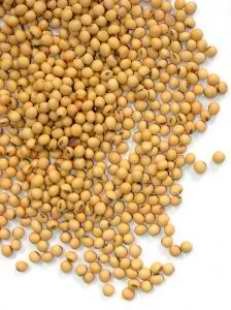 *Products that are covered by the FDA labeling laws and contain soy lecithin must be labeled "contains soy". If you are taking part in the OHC Cleansing Plan (Optimal Health Center), it is recommend that you avoid soy altogether. This will give your body a chance to clear out any soy sensitivity. After this plan, you may or may not want to add soy back into your diet as a fermented food in small amounts.